Celebrate Christmas Eve in Pattaya with the true spirit of Christmas at Mercure Pattaya Hotel with the concept “want less, waste less and give more”. This year, the 4-star hotel in Pattaya invites you and your beloved ones to enjoy the eventful season with Christmas Eve Buffet Dinner by the hotel’s pool. Available on 24th December 2018 from 6.30 p.m. to 12 a.m. at Mercure Poolside, the Christmas Eve Buffet Dinner is priced at THB 650 net for adult with inclusive of a glass of wine. Children under 6 years of age can dine for free and chargeable for children aged 6 to 12 years at half price. Reduce your desire and think about the less fortunate. This Christmas, we implore all our guests and staff to rethink the spirit of Christmas in Pattaya. We intend to spread the word by reducing our desire for gifts, possessions and direct that towards people who are less fortunate. By doing so, we are giving up our desires and accommodating the needs for the less fortunate. 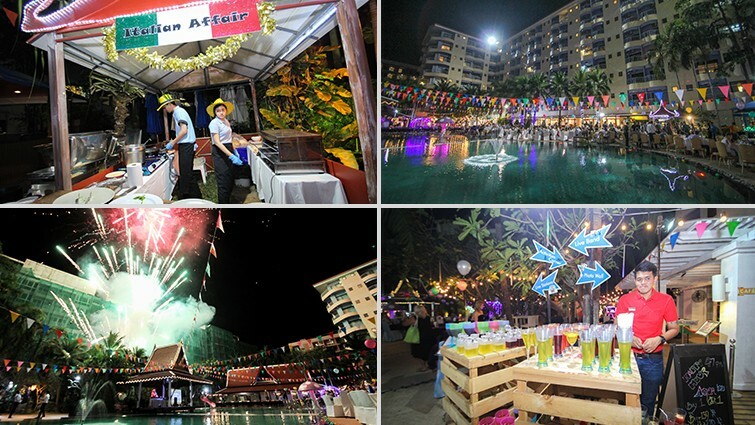 Giving back to the local community in Pattaya over the festive season is one of our pillars of the Spirit of Christmas. Go for a Green Christmas and Save the Planet in the process. Set an example for the younger and future generations by rethinking your Christmas decorations this year in Pattaya. New decorations are bought each year only for a small period of time before they are thrown away. Act now and use recyclable material for your decorations. Save the planet, work on other alternatives which are less expensive and less harmful to the environment. Donate food/money/clothes/toys to those who need it more.